Nominate a Teacher for a Computer Science Professional Development Scholarship! 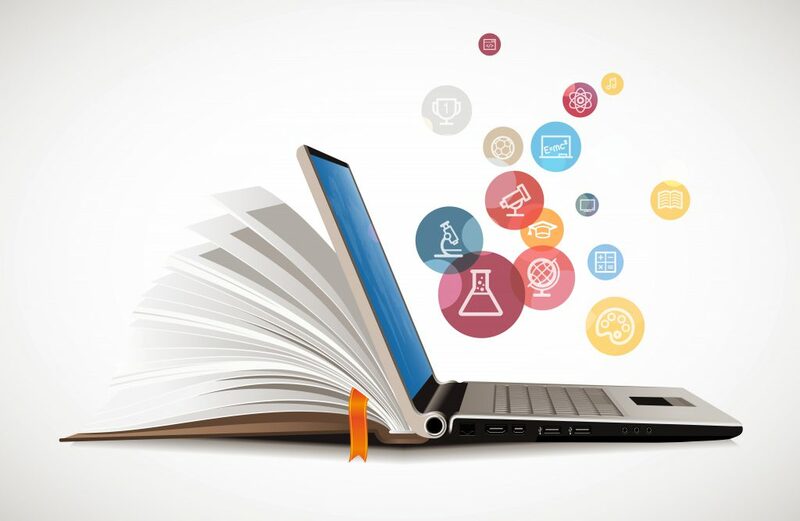 Computer literacy is quickly becoming a crucial skill for students to succeed in an increasingly competitive workplace, but many schools are not adequately equipped to teach this skill. For most schools, the lack of a trained computer science teacher is the biggest barrier to offering computer science. That’s why National PTA has a partnered with Code.org, a nonprofit dedicated to expanding access to computer science in schools and increasing participation by women and underrepresented minorities. Code.org offers professional development programs for current teachers who want to begin teaching computer science. Out of the nearly 100,000 educators who have taken these workshops, 98% say they would recommend the program to another teacher. This year, Code.org is offering scholarships for thousands of eligible K-12 teachers to attend their professional learning workshops. This is a great chance for your PTA to advocate for teachers and share this awesome opportunity! We’re encouraging everyone to nominate a favorite teacher for a scholarship. If your PTA knows of a passionate educator who would make an amazing computer science teacher, we encourage you to recognize that teacher’s impact and help them get started teaching computer science! Make sure your PTA nominates your teachers by the end of April, as workshops range from early June to late August, depending on geographic location. Sending an email to your PTA members to encourage them to nominate a teacher. Promoting Code.org’s “nominate a teacher” campaign on social media. And, you don’t have to start from scratch! Here’s some suggested language for the email and social media posts. Rachel Fishman is a programs and partnerships specialist for National PTA. 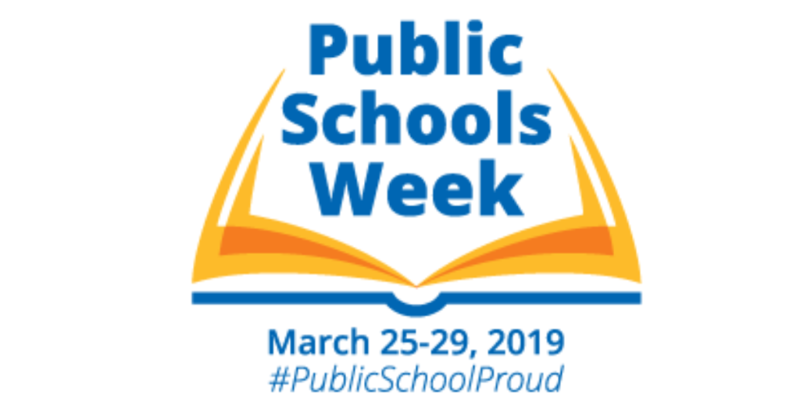 Public Schools Week is a time to celebrate our nation’s public schools, our students and the professionals who work each day to make every child’s potential a reality. This year, Public Schools Week will take place March 25-29, 2019 with a broad group of education associations hosting events on the importance of public education. On Capitol Hill, a bipartisan group of lawmakers in Washington D.C. will also speak on the need for a strong public education system for the future of our country’s economic strength. 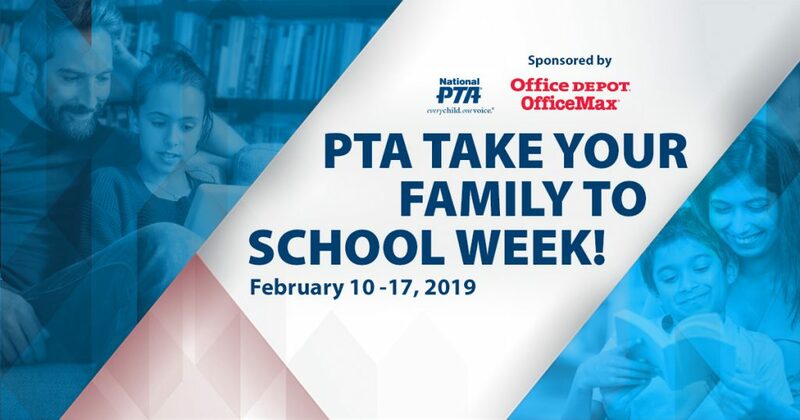 National PTA is proud to join our organizational partners in the week’s events and encourages everyone to get involved. Public schools serve as the foundation of our nation’s democracy. It is our public schools that will provide the educated, innovative and creative workforce of tomorrow—the entrepreneurs, engineers, scientists, artists and political leaders who will ensure that our nation will flourish in an increasingly competitive global economy. Nine out of every 10 students in the United States attend a public school. By strengthening the public-school system, we strengthen the democracy of our country. Public schools welcome every child—regardless of ability, race, wealth, language, country of origin or needs. 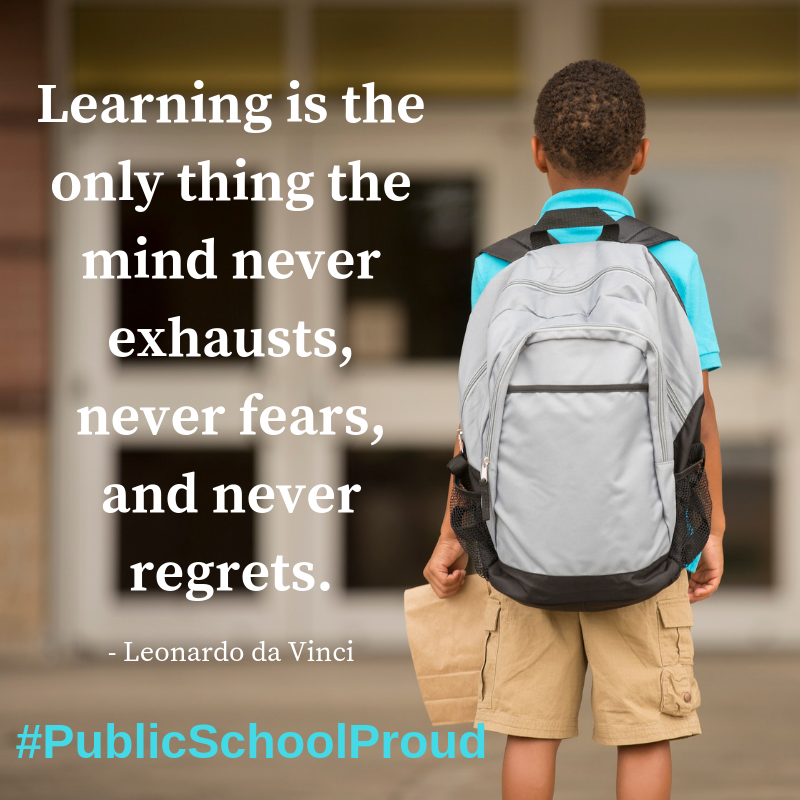 Despite the mounting challenges facing the public education system, public schools continue to provide opportunities for the more than 50 million students who are learning and growing inside our nation’s school buildings. There is no better time than now to speak out about the value of public education. #PublicSchoolProud creates a platform for Americans to join together and express their support for public education. We encourage everyone to use this hashtag to ask our policymakers to invest in our students and families to help ensure every child’s potential becomes a reality. National PTA recognizes that when our public schools succeed, so too do our communities. The success of our children and the future leaders of our nation is critically dependent on the support we give to public education. That’s why National PTA has long advocated for the strengthening of the public education system and will continue to do so with the new 116th Congress. We urge policymakers to support a public schools week resolution, increase federal investments in public education and prioritize family engagement in federal education legislation and programs. Every child deserves to learn in an environment that is safe and to have the opportunity to grow into a happy and healthy adult. We need public school champions in government to support Public Schools Week and to solidify that support through appropriate policies. Read more about National PTA’s legislative priorities and how they support public schools. So, what can you do to show your support for our students, teachers, principals, and all the educators and support staff that serve in our public schools during Public Schools Week? 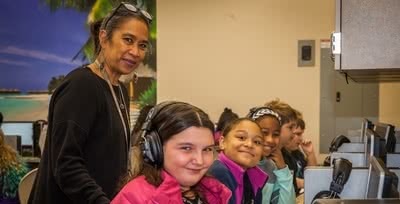 First, read more about Public Schools Week 2019 on the Learning First Alliance’s website. Then, use the tools on the Public Schools Week webpage. You’ll find easy-to-use templates to write op-ed pieces on public schools, tips on advocating for public education with local or state lawmakers, and more. You can also find ideas on how to engage local businesses and community organizations in your Public Schools Week events. Finally, make sure to use the social media toolkit before and during Public Schools Week to publicly highlight your support for public education with your friends and family. We also want to hear from you! Share your story about the impact public education has had on your life. It will help us continue to advocate for investments in quality public education for all children. Join us in celebrating our public education system March 25-29, 2019 and beyond—We are #PublicSchoolProud! Are you hungry…for school health? Well, we have a recipe that’s sure to satiate you. 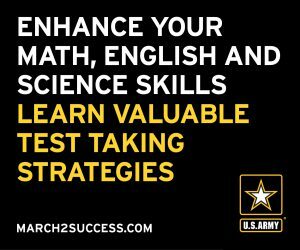 For best results, where all students at your school have equal access to education and opportunities for practicing healthy behaviors, combine two or more of the following ingredients. This recipe is ideal for those who understand that healthy students are better prepared to learn. 1 helping of school grant funds: Apply for a parent-led school grant for $1,000 to help implement nutrition or physical activity programs at your school. Have you always wanted to build a school garden or start a cooking club? Or maybe you want to create an active indoor recess kit or institute regular family fitness nights? Here’s your chance to improve your school’s learning environment through health and wellness. Apply by April 5, 2019. A couple pinches of Every Kid Healthy Week celebrations: Every Kid Healthy Week (April 22-26, 2019) is an annual observance that celebrates school health and wellness achievements. Start planning your school’s Every Kid Healthy Week events with our helpful resources and recommendations. 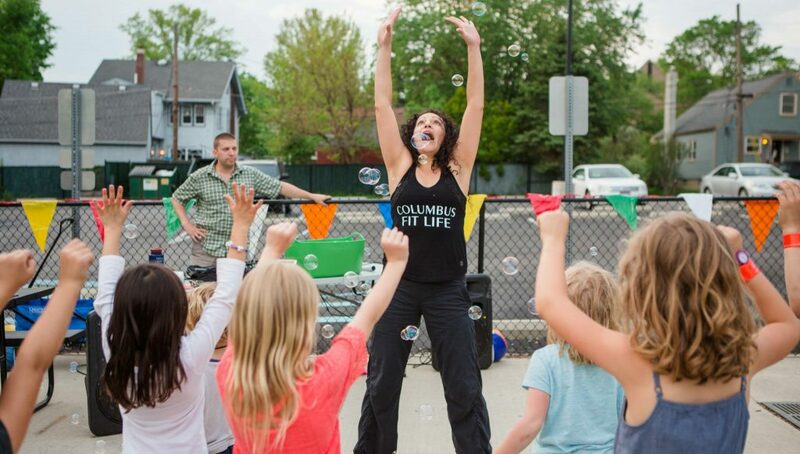 From field days to health fairs to fun runs, thousands of schools across the country plan events that get the whole community involved, so join the healthy fun! 1 whole school health team: One of the strongest ways to implement lasting school health programs is by joining or creating a school health team. Parent voices matter when it comes to creating a plan and leading projects that impact students’ bodies and minds for the better, so find out how to get started. Several dashes of change: Whether it’s your school’s food culture or fundraising techniques, some things may need to change. Determine your goals for feasible school health improvements that you’d like to see, and then take action. There’s no time like the present to make sure kids are growing healthy and thriving. The best recipes are made with passion, so channel yours into getting every kid healthy and ready to learn. 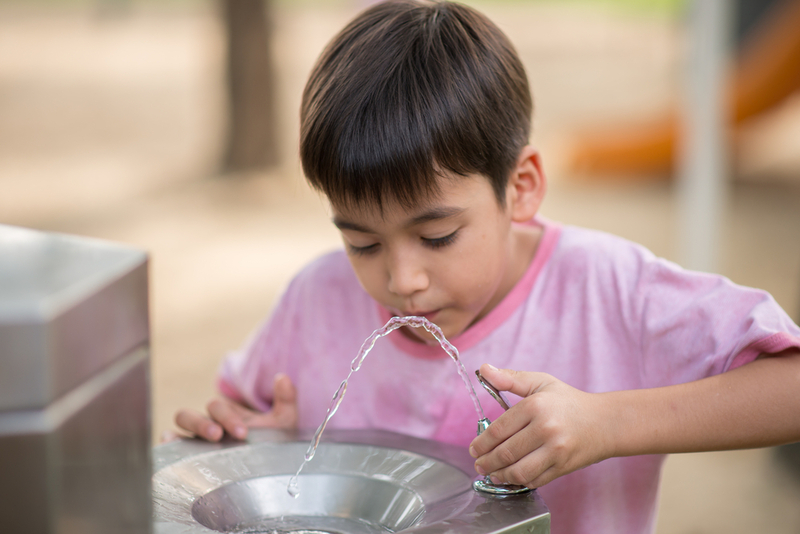 Action for Healthy Kids mobilizes school professionals, families, and communities to come together to take actions that lead to building healthier school environments where kids thrive. We give kids the keys to health and academic success by improving physical activity opportunities and nutrition education throughout the school. Let’s face it: most schools don’t like fundraising. But no matter what elementary school community you’re a part of, nearly every school needs help raising funds. 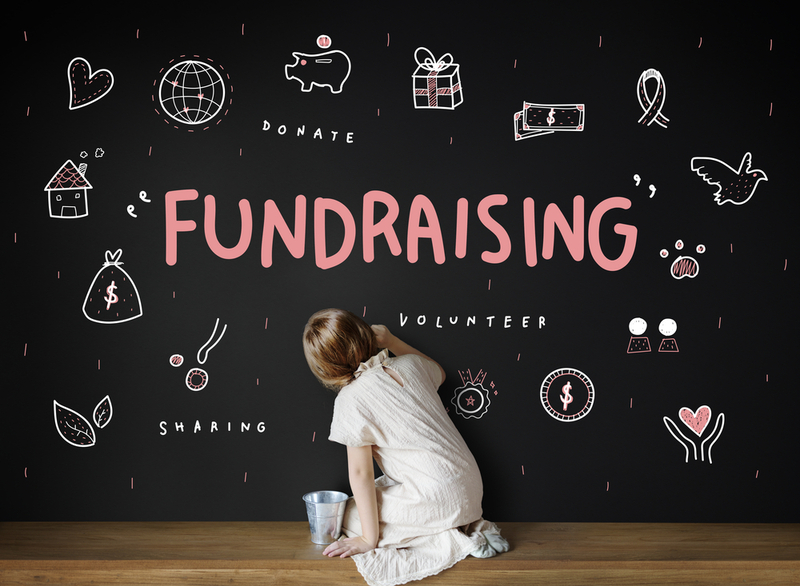 And if you’ve ever served on a volunteer parent group, you’re always on the lookout for elementary school fundraising ideas that line up with your school’s priorities. We didn’t like fundraising either, so we reimagined something completely different and schools LOVED it. In fact, thousands of schools have trusted Boosterthon to increase funds and inspire students through our remarkable fitness and character program. But we didn’t just stop there. Over the years we’ve developed a number of fundraising programs that are proven to get results. Here are five proven, must-try school fundraising ideas. The Boosterthon Fun Run is our signature nine-day program that consists of four main parts: Pep Rally, Team Huddles, Fun Run, and Collection. Over the past 16 years, we’ve completed over 10,000 programs and helped our elementary school partners profit more than $200,000,000. In the process, we’ve perfected a fundraiser that’s been proven to raise our partners 60% more funds (on avg.) than their best previous fundraiser. It’s one of the many reasons why 3,000+ schools happily choose Booster year after year. But we know that every school has unique needs. That’s why we offer the Boosterthon Fun Run at four different service levels. Boosterthon LIVE is our full-service, all-in-one fundraising program. Our enthusiastic team visits your campus daily, handling every aspect of the program. This hassle-free experience is the same Boosterthon program that thousands of principals and PTA leaders all across the country are RAVING about. Boosterthon EVENT unites the enthusiastic Boosterthon team with your energetic school volunteers! Our team is on campus for the Pep Rally and Fun Run events, allowing you the freedom to uniquely customize the lessons and rewards in between. A favorite of many schools, Fun Run YOU is perfect for schools that want the benefits of Boosterthon’s expertise, technology, and reporting, with the perks of a self-run event. One of our favorite school fundraising ideas, the Color Run is a fun way to boost your Fun Run experience for older grades. Students run laps around the Fun Run Speedway while getting periodically “colorized” with FDA/EPA-approved colored powder. The experience is safe, fun, and designed specifically for older students. If you live in a colder climate but you’re still looking for fun school fundraising idea, then look no further. The Glow Run transforms your gym into a pulsing neon celebration complete with rope lights, disco lights, and black lights. With Boosterthon’s Glow Run, rain, snow, and cold can’t hold back the fun—it rocks in any weather. Interested in learning more about one of these school fundraising ideas? Click here to find out if Boosterthon is right for your school! This post is part of a series authored by local PTA leaders sharing their stories as STEM + Families ThinkFun Game Night Giveaway winners. These real-world experiences shed light on how an individual PTA planned and hosted their event with lessons learned and practical advice. Game Nights are so special because they are family based. The experience is extremely fun for kids and exciting for parents as well, especially when it’s a new theme or a hands-on activity like playing ThinkFun games. Family members play together – kind of like a large home game night where kids are trying to beat their parents and vice versa. The games are a focal point. They are high quality in design, materials, texture, and colors and enjoyable to play! We hosted our event in the cafeteria and served pizza, muffins, and drinks. Our local PTA members decorated with balloons, colorful tablecloths, and we had every game station set up with colorful standing signs and ample space to spread out. The sample guidelines on the NPTA website was our main source of recommendation when setting up for the event. We also enlisted middle school student volunteers to welcome families and guide them through game rules. In total we had about 130 people attend our event. We also invited the PTA members of our sister school to participate. Our attendance was robust for the midweek day and the time frame. A lot of our students are in extracurricular activities, so we were pleased to see several make time to attend! The main reason for our great turnout was our marketing methods, which we have nailed down! We usually have sizable attendance at our PTA-sponsored school events (e.g. 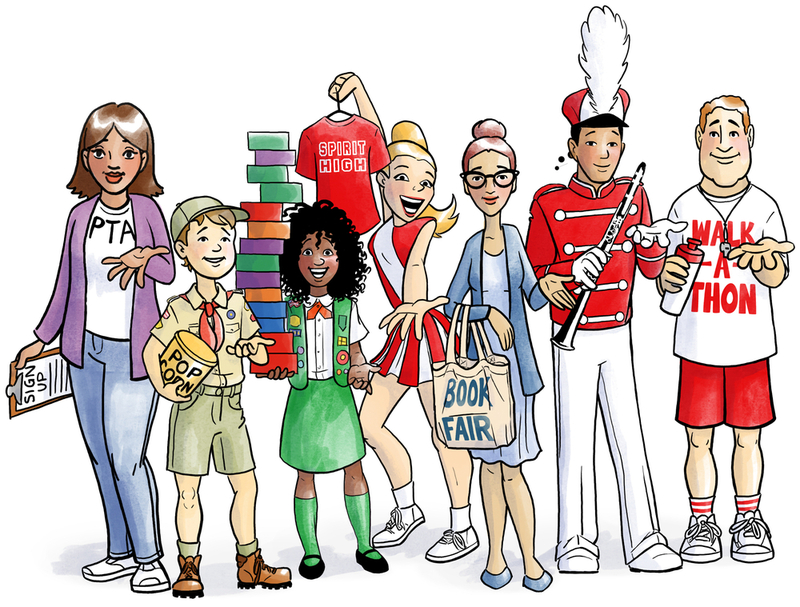 festivals, carnivals, at-school programs). All students were invited and welcomed. We advertised the event early and often, using several methods including flyers, the school website, weekly newsletter, morning and marquee board announcements, posters (lobby, hall, and cafeteria), and parent emails. But even a great event doesn’t happen without a few lessons to learn from. We would have liked a little bit more time with volunteers prior to the start of the event to review game rules and handling the games. After the event ended, in the process of repackaging games, we ended up losing a few small pieces here and there. Having a larger number of each game would have been helpful as well. The number of games combined with our great turnout created longer than expected waiting lines that were not anticipated. My take is that families wanted a bit more time than 15 minutes between game rotations, perhaps 20 minutes would have been better. Overall, we just absolutely LOVED the games!!! It was such a treat watching families get excited about finding solutions to the puzzles and choosing their favorite games as the night went on. I remember the younger kids enjoying Balance Beans a lot, while some families found Color Cube Sudoku the most challenging, and Gravity Maze was very popular among all ages. The highlight of the night was being able to give away games as prizes. The NPTA Tip Sheet went a long way in helping us prepare and in my opinion, the best tip was the STEM Tournament Prize Suggestions. The kids who won the game prizes (On the Brink and Clue Master) were very excited to have won such fancy gifts – they were beaming, and their parents were, too! Looking ahead, we are currently organizing another STEM-based Game Night due to the level of success. 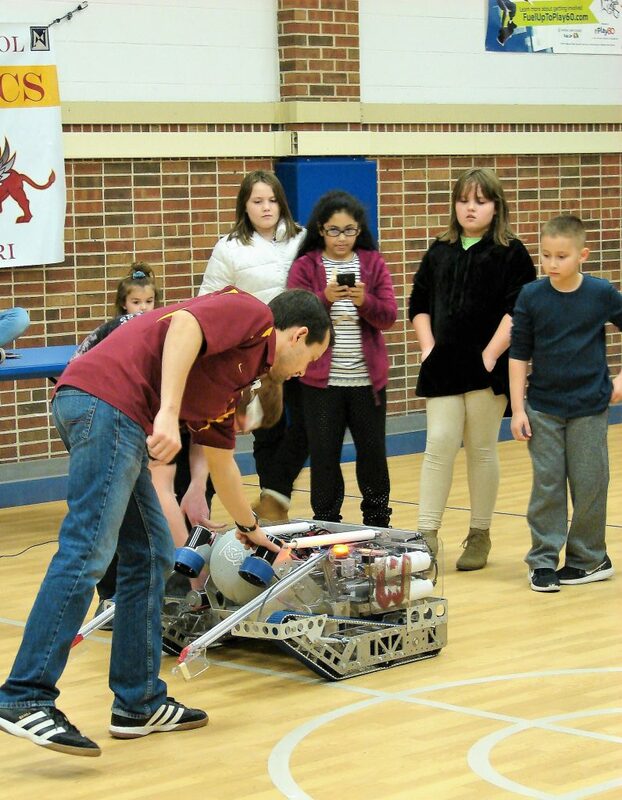 In a 2018 school PTA Parent Survey, when asked what new enrichment opportunities families would like to see this coming year, many requested more STEM related events. 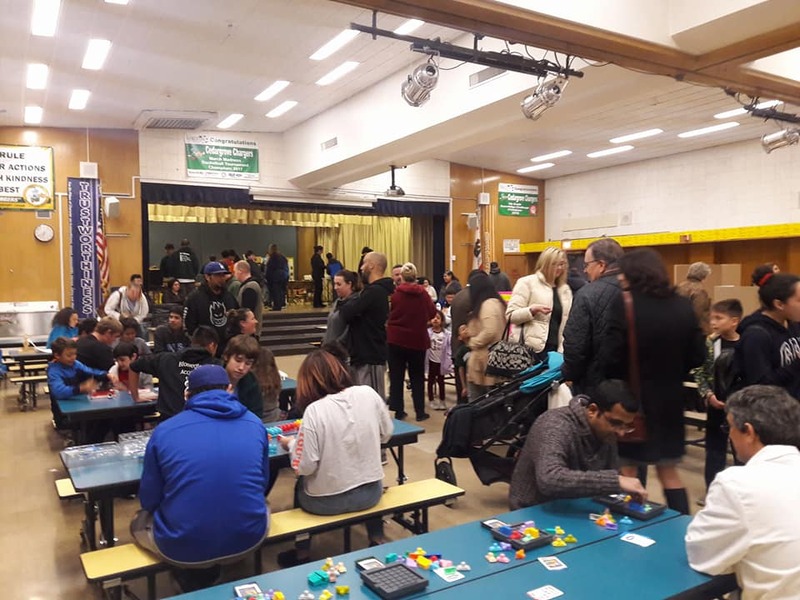 Several parents noted how much they enjoyed our ThinkFun STEM Game Night. As our students’ advocates, we like to ask, listen, and respond to the needs of our families. We want to ensure our students, at all grade levels, have access to STEM offerings, and the STEM enrichment opportunities are relatable to their families, are interactive, fun, and if possible, scheduled after-school. About the Guest Contributor, Isabel C. Materon, PhD: Isabel C. Materon, PhD is the CWE PTA Event Organizer at Commonwealth Elementary School in Sugarland, Texas. Disclosure: ThinkFun is a Supporting Sponsor of National PTA’s STEM + Families initiative. 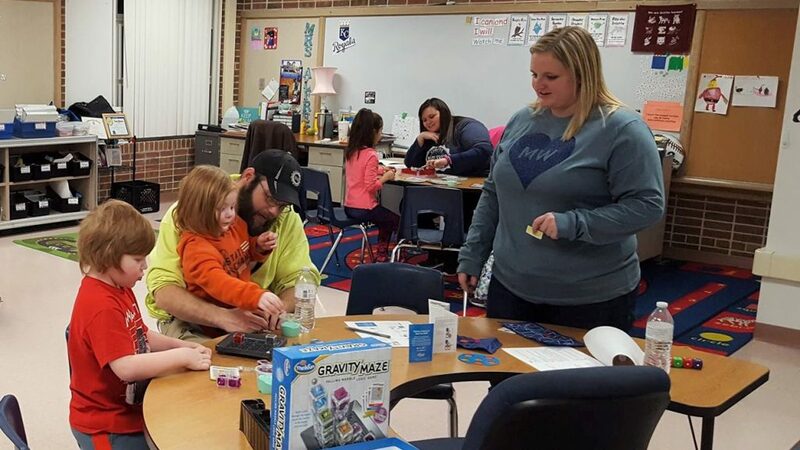 The local PTA spotlighted in this blog was a winner of the 2017-2018 STEM + Families ThinkFun Game Night Giveaway and received a bundle of ThinkFun games. The author was not compensated for this blog post and the author’s opinions are his/her own. We try to apply for grants for our school and students, which will help fulfill the expanding budgetary gaps that our school, like many others, are facing. Our school is a Title 1 School and for us parental involvement can be very difficult. Our PTA has more staff than parent members, but us parents work hard to help in any way that we can. Providing family events is one of the greatest gifts the PTA can provide to students and their families, which is why STEM, Game, and Family Nights are so important. When planning events, we like to have a committee, but in reality, it is often one person with occasional helpers that put our events together. The key is scheduling volunteers so that you maximize their time. No one gets discouraged faster than a busy parent that comes to help only to be left confused or feeling unappreciated for what they do. Start planning early so you don’t get overwhelmed. Our main strategy with inclusion for any event is having something that appeals to a variety of ages, and both boys or girls. For STEM, it’s important to stress that Science, Technology, Engineering, and Math is universal. It holds no boundaries and these nights help pull families into discussions and activities about subjects that will carry over throughout the students’ academic paths into their futures. Since our PTA had to purchase all supplies with a limited budget I researched STEM activities that were inexpensive but would span multiple grade ranges. We were also the recipients of the ThinkFun Games Grant last year, which provided our school with Balance Beans, Clue Master, Color Cube, Gravity Maze, Laser Maze, Laser Maze Jr., Math Dice, Math Dice Jr., and Rush Hour to use at our STEM Game Night. The games helped provide STEM Night with new life, which is sometimes all you need to make a huge difference. In preparation I printed out the ThinkFun game directions, along with directions for the activities that included the definitions of the STEM they would be learning about and had a meeting with teachers and staff armed with a signup sheet to address questions and concerns. We ended up with an activity for each grade with teachers’ support, in addition to having an Hour of Code that was hosted in the Library with our Librarian and a demo from Winnetonka’s Robotics team (our local high school). 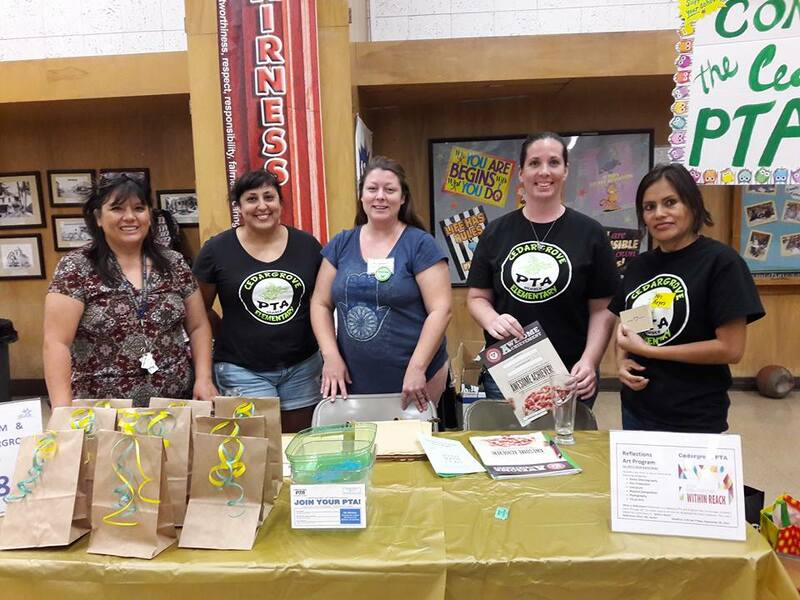 Our PTA pulled together to create activity boxes for each room with the supplies bundled or bagged and then delivered to each classroom the day of the event. Families were allowed to come and go as they pleased, picking the activity or game that interested them the most. The clear winners were the Slime Room, Balance Beans from ThinkFun for the younger grades and Gravity Maze for the older ones. My favorite moment of the night was a family at the end of the night that said they had just planned to come, eat and then leave but they got so caught up in all the fun and games that they had totally lost track of time. Strengthening relationships between school and students’ families is what PTA is all about. I can’t tell you how amazing it is to see a parent or grandparent sitting with their kids laughing, building and creating not just experiments but lasting memories. So yes, I am already planning our next STEM Night and will be utilizing our ThinkFun Games! About the Guest Contributor, Sondra Miller: Sondra Miller is the PTA Treasurer at Maplewood Elementary School in Kansas City, Missouri. Mom of one, trying to do it all one small step at a time. Did you know that games are good for motor skills, help our kids solve problems, can lead students to get better grades, and promote family bonding? That’s why at Cedargrove PTA, we are proud to host three Family Game Nights every year, which we think are unforgettable for everybody. 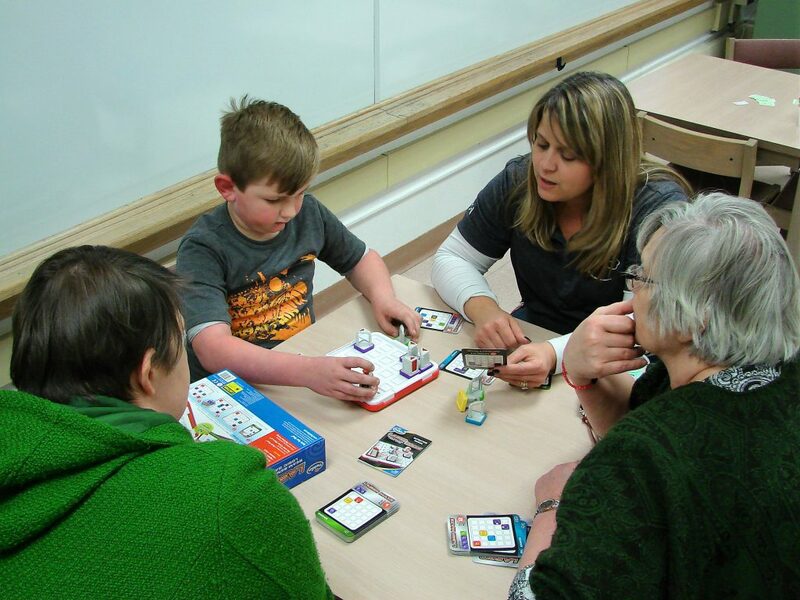 Family Game Nights give students and parents the opportunity to test out some of today’s most popular games without having to purchase them while wondering if they will even enjoy them. It also brings together many families and helps our local PTA grow relationships in the community as everyone takes turns, shares, and plays games with each other. These game nights also help parents understand and support what their children are doing at school. 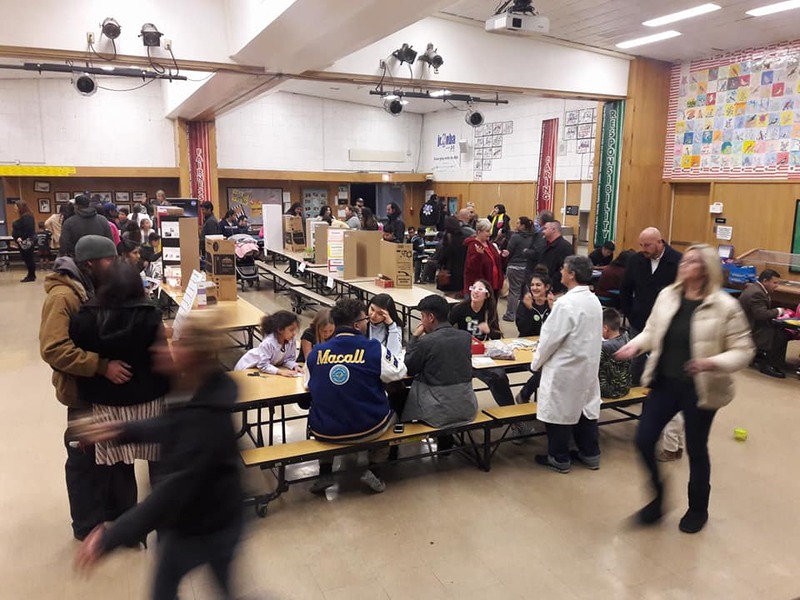 Our tradition of hosting these game nights made Cedargrove PTA a great candidate to host a National PTA STEM + Families ThinkFun Family Game Night. Our PTA already had a team in place to coordinate with the school staff. Our librarian organized and marketed the event, a PTA volunteer made flyers to send home and to post on the school boards, and the principal added the game night event to the school’s marquee and made calls. 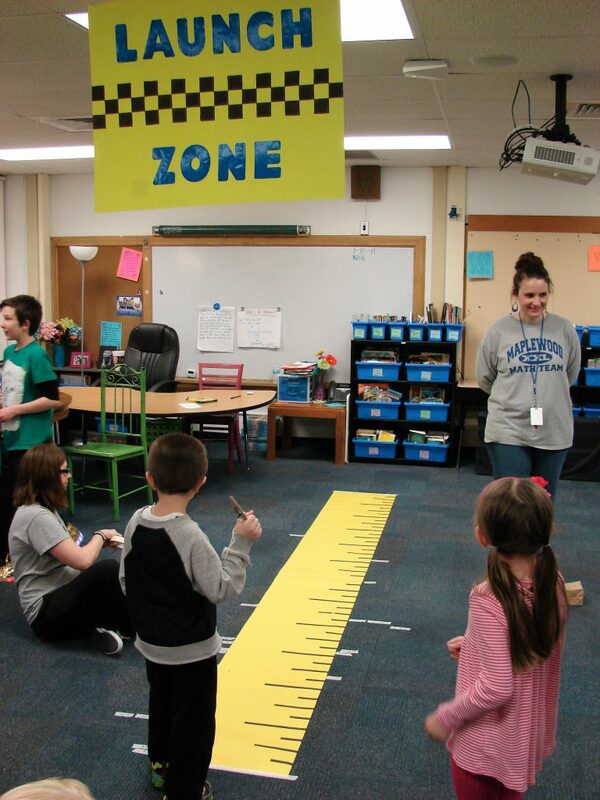 We posted on the school website and on the PTA Facebook page, had a PTA Newsletter “Charger Chat” to advertise the event and had teachers send letters to parents reminding them how important it is for students to attend Family Game Night events. To get familiar with the new ThinkFun games we were going to play at our event, we first had a ThinkFun game activity with our Gifted and Talented Education (GATE) students to test out the games and get feedback. This experience gave us the idea to reach out to the local high school students to see if they could volunteer as facilitators during our event—giving them community service hours, too. The night of the event, our PTA, librarian, and teachers set up tables to do hands-on math, reading, and science activities. We had 14 stations with each game labeled. When students entered, they had to sign to get a passport. They also got a raffle ticket for a chance to win some incredible prizes and if they completed their passports, they got another raffle ticket. Being welcoming and inclusive is an important value within our PTA; everybody is welcome to attend our events! We were so happy that parents, grandparents, tutors, teachers, and students all showed up. Attendance for this event was significantly higher because we added new games and gave away some amazing prizes courtesy of ThinkFun. We always ask for donations to sponsor our Family Nights because our budget for these events is small. Asking for community donations is also a great way for us to build our PTA’s reputation in the community—local businesses are now aware that we host these Family Game Nights and can help us spread the word. Family Game Nights are great opportunity to increase your PTA’s membership too. We set up a membership table at each event with useful information about how our PTA is contributing to the school. We also gave away a few small prizes for just the parents who joined PTA that night. Our ThinkFun Family Game Night turned out to be an amazing event where every member of the family was able to bond together while playing STEM board games. About the Guest Contributor, Yesy Reyes: Yesy Reyes is the PTA President at Cedargrove Elementary School in Covina, California. Through the National PTA Reflections program, students receive national, state, and local recognition for their artistry and originality in dance choreography, film production, literature, music, photography, and visual arts. This year is even more important than usual as it is our 50th anniversary. Since 1969, when the program was founded, Reflections has helped so many students explore their own thoughts, feelings and ideas, develop artistic literacy, and find a love for learning! To celebrate, National PTA is going all out by incorporating 50th anniversary celebrations into our upcoming events, including this year’s Reflections Student Arts Showcase at the Department of Education. This year’s Reflections Showcase recognizes our 2017-18 Reflections winners with a ceremony featuring guest speakers and student performances, followed by a digital and physical art exhibit. 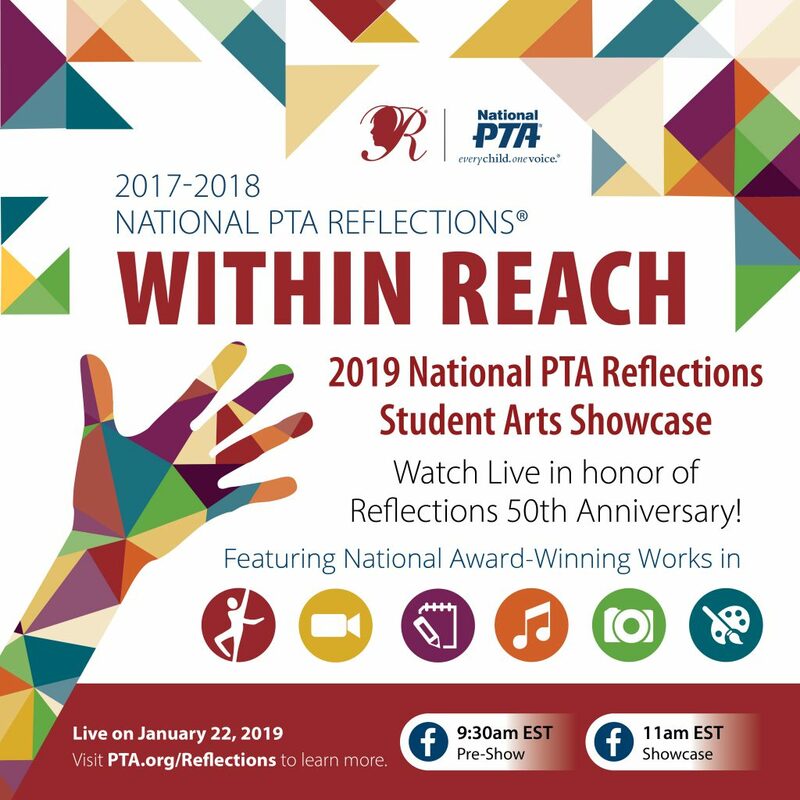 National PTA is pleased to present a live-casting of this year’s showcase event so that you can celebrate the Reflections program’s 50th anniversary with us! As you plan your watch party, use these ideas to make your event award-worthy! 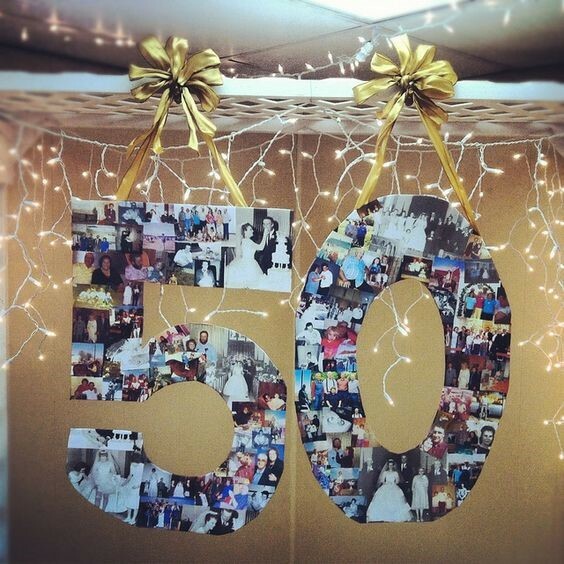 Show-off your PTA’s artistic skills and decorate your watch party with 50th Anniversary and award show decorations. Whether it’s gold 50th balloons, a red carpet, or spotlight photo-op, a highly decorated watch party will encourage participation and fun! Whether your continuing to emphasize the importance of art literacy or if you want to focus on the 50th anniversary, there are a multitude of ways to make your watch party both fun AND informative. From pizza to cupcakes, a watch party is not complete without some tasty treats. 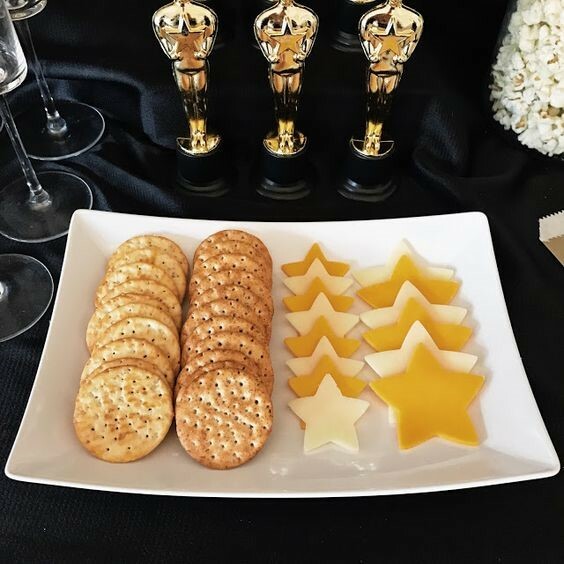 You can use standard snack ideas, but why not dazzle your audience with some award show and 50th anniversary inspired snacks. Finally – Share, Share, Share! Share your ideas, photos, and videos using #PTAReflections to let us know how you celebrate the Reflections Showcase by sharing your ideas, photos, and videos using #PTAReflections. We look forward to celebrating Reflections 50th Anniversary with all of you!